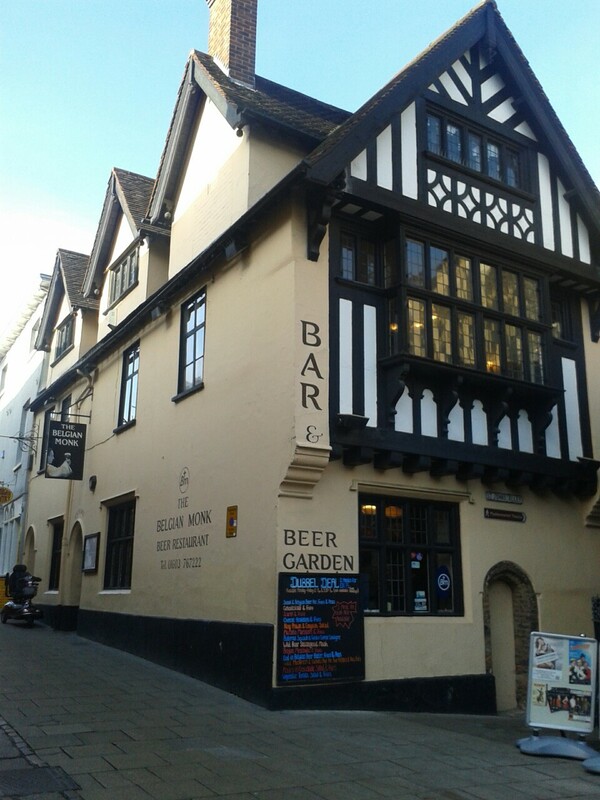 It is often said that sequels never quite match up to the original but that is a trend I hope to buck today as we continue to explore the numerous delights of Norwich. I should probably begin by admitting that I don’t go to many pubs besides the Student Union, but if you’re like me then I would heartily encourage you to try out The Belgian Monk at some point. It has a wide selection of beers, serves food, and, best of all, makes alcoholic milkshakes…. need I say more? 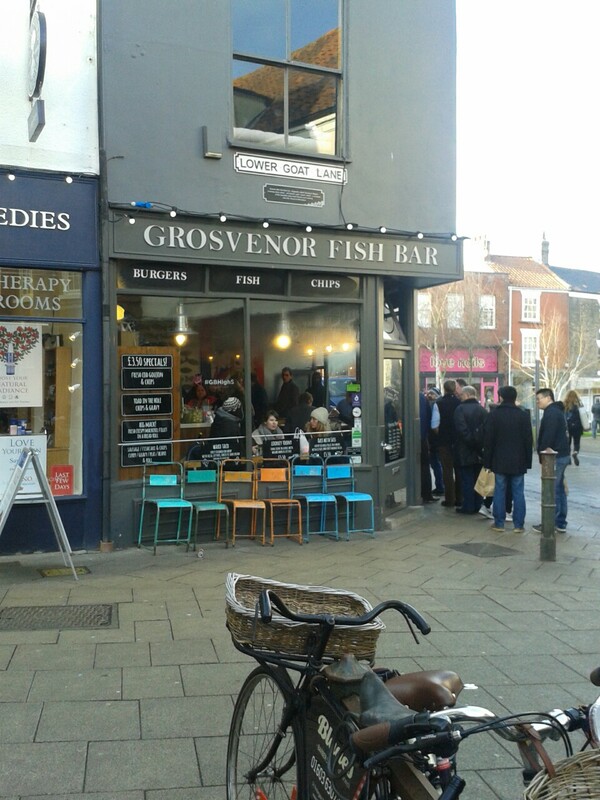 I should begin by saying that Grosvenor Fish Bar is not just a Fish and Chips shop, it is as one reviewer on TripAdvisor put it, ‘like being welcomed to Heaven’. It is the nicest Fish and Chips shop I have seen in my life. It’s decorated in a kind of vintage fashion with downstairs seating for up to fifty people, and they regularly run deals with The Birdcage, a bar on the other side of the street, so that you can order your food and then have it delivered to you in the bar with a glass of bubbly. Perfection. I think the queue in the photo above speaks for just how well loved an establishment this is. 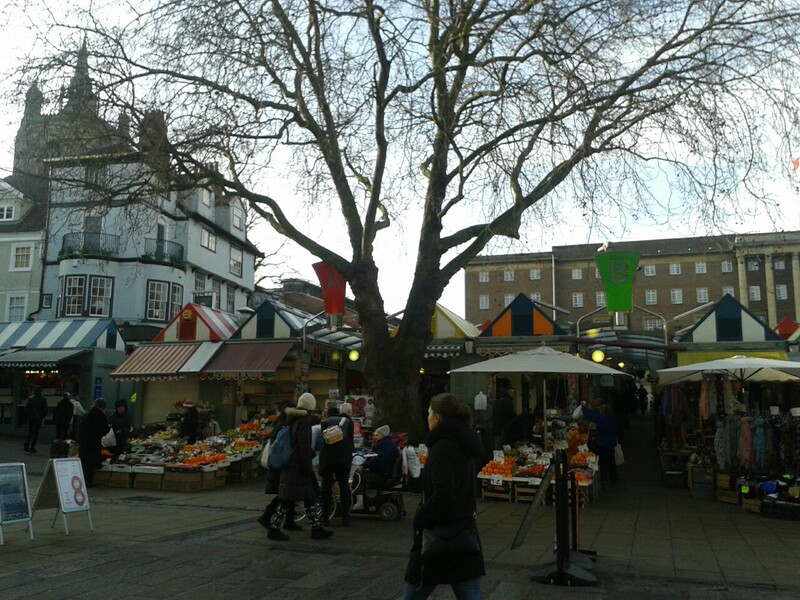 The Norwich Market has been a staple of the city since the 11th Century when it was established to meet the needs of the Norman settlers after the invasion of 1066, today it has around 200 stalls and sells everything from flowers to fish. 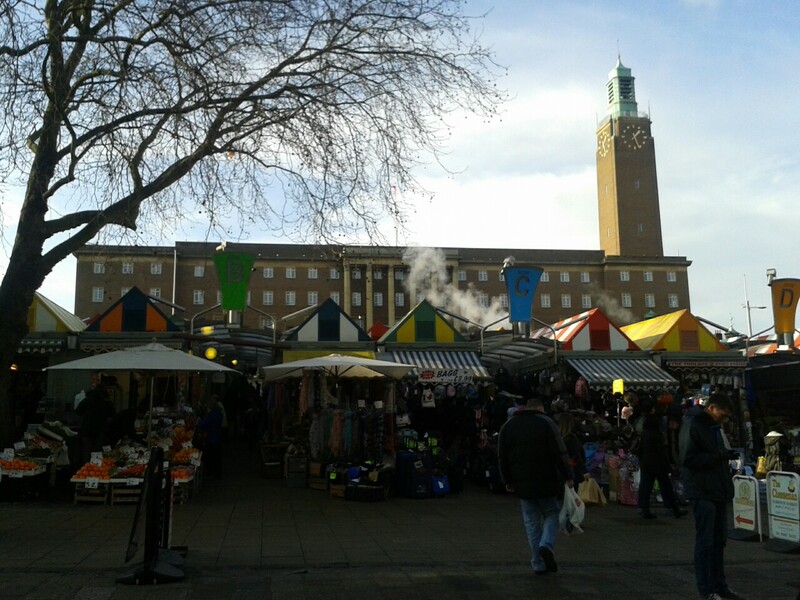 It is practically impossible to live in Norwich without seeing the market regularly as it is the focal point for the city, and is well worth a wander through. 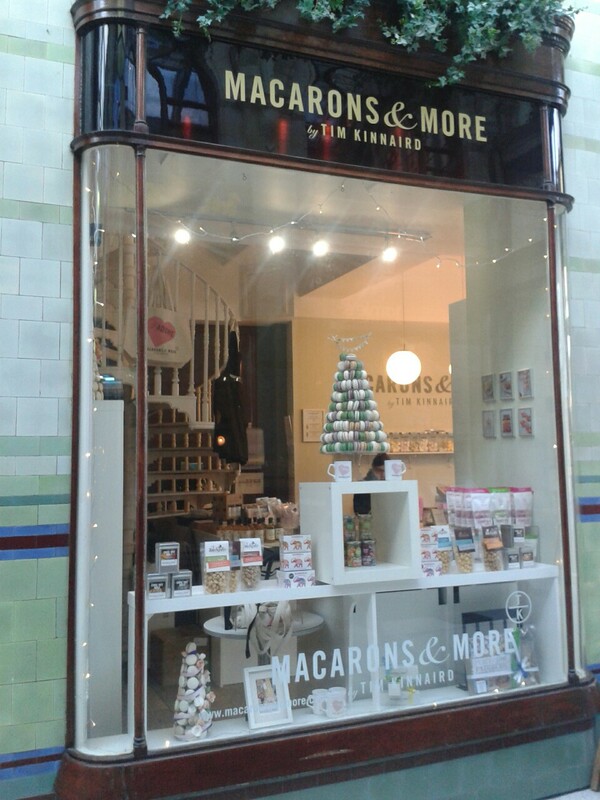 Whilst you are in the market square it is also well worth your time to take a stroll down the Royal Arcade. 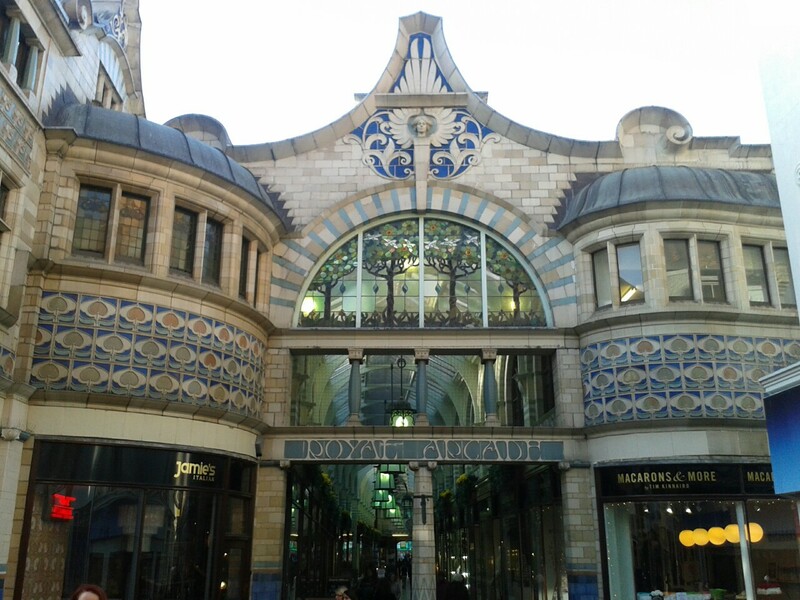 Built in 1899, the Royal Arcade was designed to provide a beautiful place to shop (the tiles were designed by WJ Neatby who also helped design the Harrods’ Food Hall), it is a exquisite example of the Art Nouveau style. 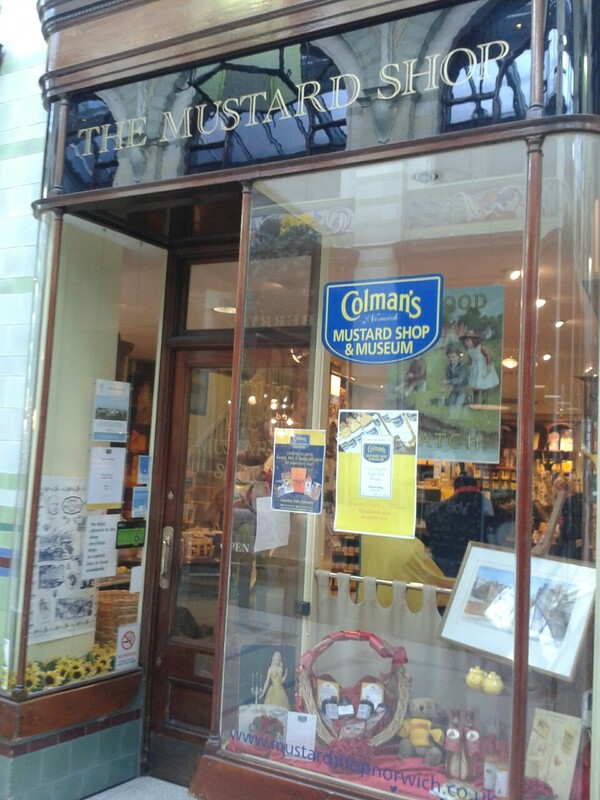 If that wasn’t enough it also contains the Colman’s Mustard Museum.